Case of Mr. Riyaz working in the aviation industry was diagnosed of Pterygium 2 years ago and had problems with his vision. He consulted various eye specialists in Mumbai but couldn’t find satisfactory answers. He couldn’t pursue his dream to be a pilot for he didn’t have the eyes for it. Tired of being mocked at for being a freak he decided to search for the best eye hospital in Mumbai which is when he came across Advanced Eye Hospital and Institute (AEHI) eye hospital in Vashi, Navi Mumbai. His growth in the eye started affecting his vision making it difficult for him to carry out his work as ground staff at the airport. When he visited AEHI, he also complained of having redness in his eyes and irritation. He described how much of a frustrating situation it was to see clearly from one eye and partially with the other. After the routine eye tests; he had his consultation with Dr. Vandana Jain. Dr. Vandana Jain is a renowned Cataract and Cornea Specialist. Mr. Riyaz had read a lot about her work and was hoping to get answers for his eye condition. Dr. Vandana Jain explained how the Pterygium was causing all the vision problems. She discussed the treatment method with Mr. Riyaz. Mr Riyaz was grateful to Dr. Jain who gave him in-detail information about Pterygium and how it would be tackled and what is to be expected after the eye operation. He grew confident and was ready to go ahead with the eye operation to remove his Pterygium. After getting medical fitness for the eye operation, Mr. Riyaz was given a day for Pterygium operation. Dr. Jain had described the steps involved in operation earlier during the outpatient visit but still seeing Mr. Riyaz’s anxiousness, she went through them again. 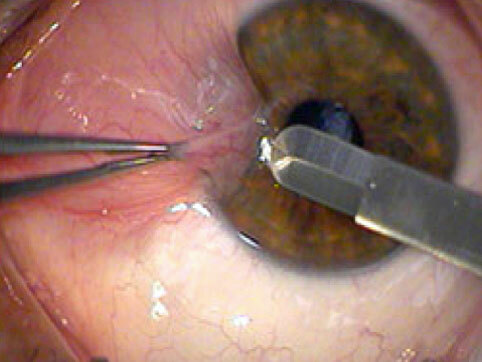 After numbing the eye with anaesthetic eye drops, she cut off the excess tissue that had grown over his eye. The operation lasted and was done in less than 30 minutes. She congratulated Mr. Riyaz and said to him, ”We are done and you can be back to being normal again”. Mr. Riyaz was very happy and thanked Dr. Jain and the staff at AEHI for the wonderful experience. He plans to try his hand at becoming a pilot again, for now, his eyes are fit for flying. He quotes “Advanced Eye Hospital and Institute is the best eye hospital in Mumbai and Dr. Vandana Jain is the best eye doctor one could wish for”. 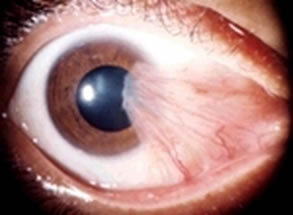 Pterygium is a growth that develops on the conjunctiva (a transparent membrane that covers the outer surface of your eyes along with the inside of your eyelids) or mucous membrane that covers the white part of your eye. 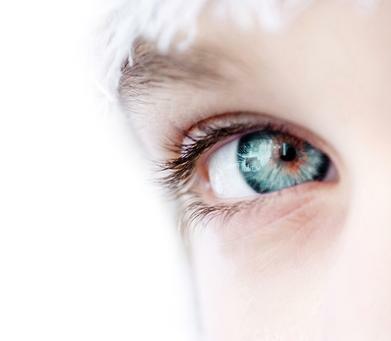 Dr. Vandana Jain is a renowned Cornea, Lasik and Cataract surgeon and the Director of AEHI. She has won best fellow awards and medals at Delhi University and L.V. Prasad Eye Institute and then further trained at Harvard, USA. Having performed more than 50,000 operations, she has vast experience of dealing with all kinds of complicated eye surgeries. According to her, every patient has different needs and the surgery needs to be customised. She additionally believes that teamwork and alliance with other specialists help in planning and giving the best surgery results to the patients. Advanced Eye Hospital and Institute in Navi Mumbai is one of the best eye hospitals in Mumbai for comprehensive eye check-up and the operation theatres here are state-of-the-art and equipped with the best diagnostic and surgery machines. Personalised care, infection-free modular operation theatres and beautiful ambience complement the cutting-edge eye care offered at AEHI. Besides treating patients from Kharghar, Nerul, Vashi and Panvel, patients from all over western India travel to AEHI for world class eye care management.